Productivity begins with the driver, and a comfortable driver is a productive driver. 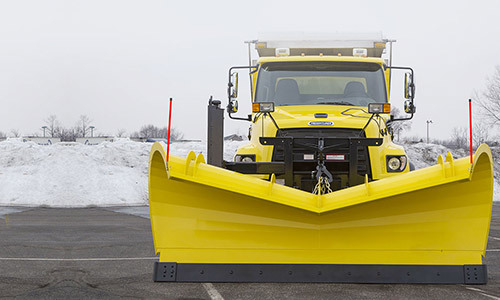 That's why the 114SD is designed with superior visibility and enhanced ergonomics. 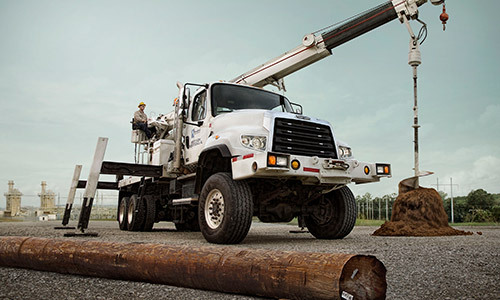 The 114SD comes equipped with the incredibly powerful and efficient Detroit™ DD13® engine with up to 475 HP and 1,850 lb-ft of torque to power through any job. Customize what's under the hood. 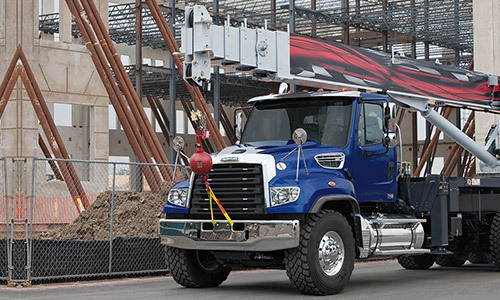 Optional power choices include the Cummins X12 with up to 500 HP and 1700 lb-ft of torque, the Cummins L9 and natural gas options. Clear back-of-cab platforms allow truck equipment manufacturers to upfit efficiently. Smart PTO packaging allows a cleaner installation behind the cab, while providing consistent, maximized power output. 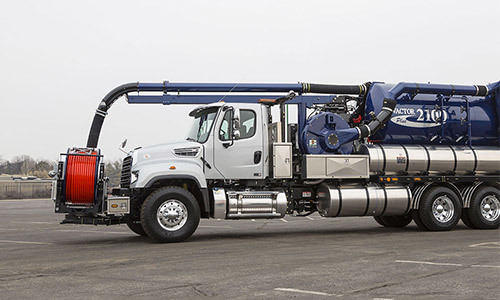 The 114SD features optimized, mid-chassis packaging and a strategically mounted aftertreatment system, making it easier than ever to spec the truck for your particular application. With its efficient chassis layout, the 114SD simplifies the upfit process. The SmartPlex® multiplex electrical system simplifies chassis-to-body electrical integration and significantly reduces the number of wires. SmartPlex adds expansion capabilities and allows custom programming for each customer's requirements. 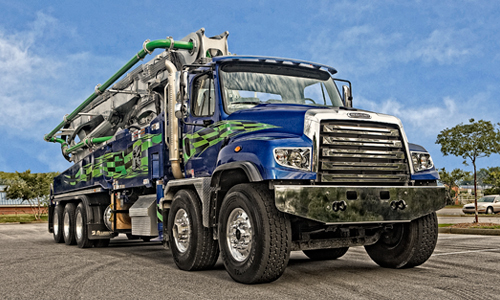 With its 2,500 square-inch windshield and contoured hood slope, the 114SD offers unmatched operator visibility, helping the driver keep an eye on obstacles at the job site. 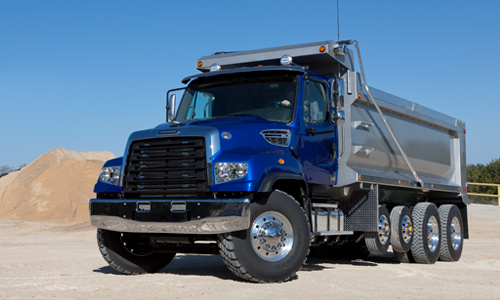 Freightliner cabs are lightweight and extremely tough. 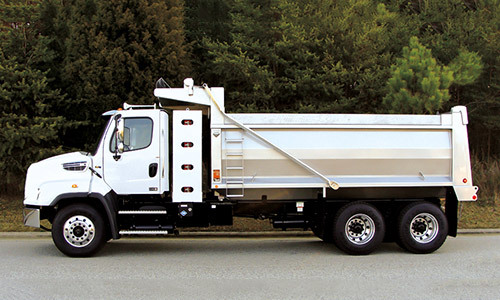 In fact, the 114SD cab meets or exceeds A-pillar, rollover and back-wall impact requirements. Plus, the 114SD includes a complete offering of single- and double-channel frame rails. 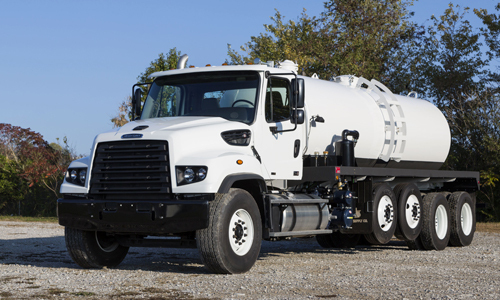 At Freightliner Trucks, individual components, systems and entire vehicles are subjected to an array of virtual and physical tests to ensure our trucks deliver the function, performance and reliability that you expect. The 114SD combines wide door openings with low step-in height for safe entry and exit. 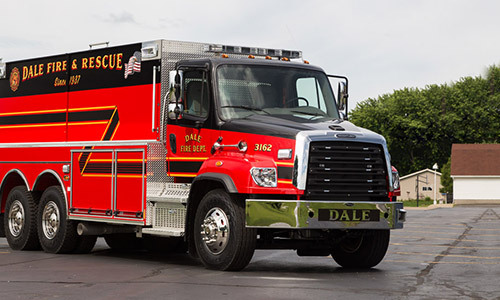 Plus, an ergonomically-designed driver's area with easy-to-read LED-backlit gauges and easy-to-reach controls helps drivers stay safe while on duty. 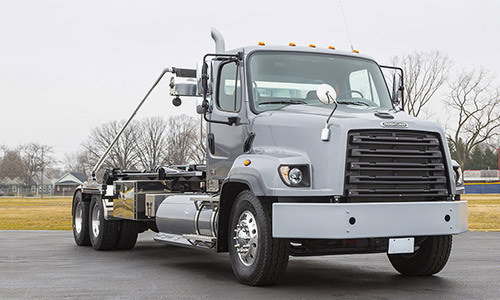 Freightliner Trucks uses cutting-edge technology, including advanced robotics and automated systems, to produce powerful vocational trucks which exceed expectations. 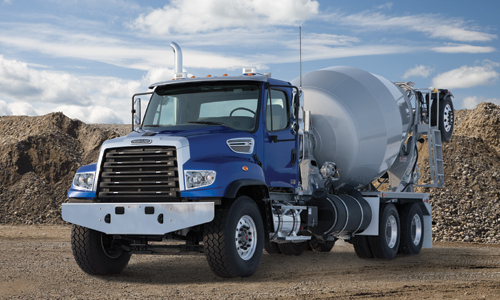 The 114SD's corrosion-resistant, steel-reinforced aluminum cab, with Henrob rivets and welded construction, ensures that your Freightliner® truck will be on the job site for years to come. The 114SD features a rugged single-channel rail with 120k tensile strength. Optional inner and outer frame rail liners are available for the most demanding applications. 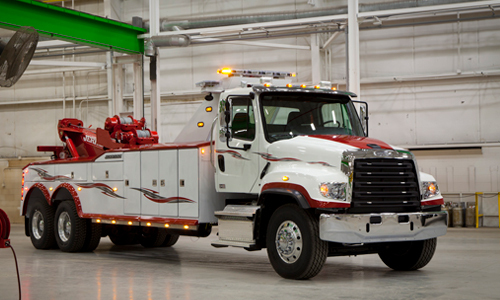 The 114SD is also available with the Detroit DD8 engine and the new Cummins X12 engine. In North America, no matter where you are or what kind of work you're doing, Freightliner's robust support network is there for you. With over 400 dealership locations and more than 190 Elite Support℠ Certified dealers, Freightliner gets you back on the road quickly. To cut down on the time it takes to perform routine maintenance, the 114SD is designed for easy serviceability, allowing your fleet to increase its productivity.